Hey everyone! Sara from The Sara Project here with a another tutorial for you. I’ve been trying to come up with a unique handmade gift to give to my family, friends and neighbors for the holidays this year. 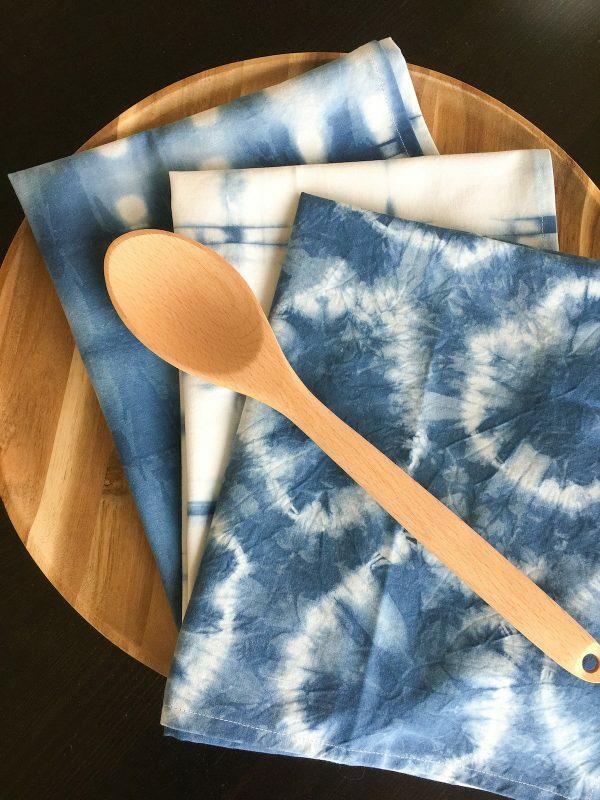 I decided to give shibori indigo dying a try, and turned each dyed piece of fabric into tea towel gift sets. 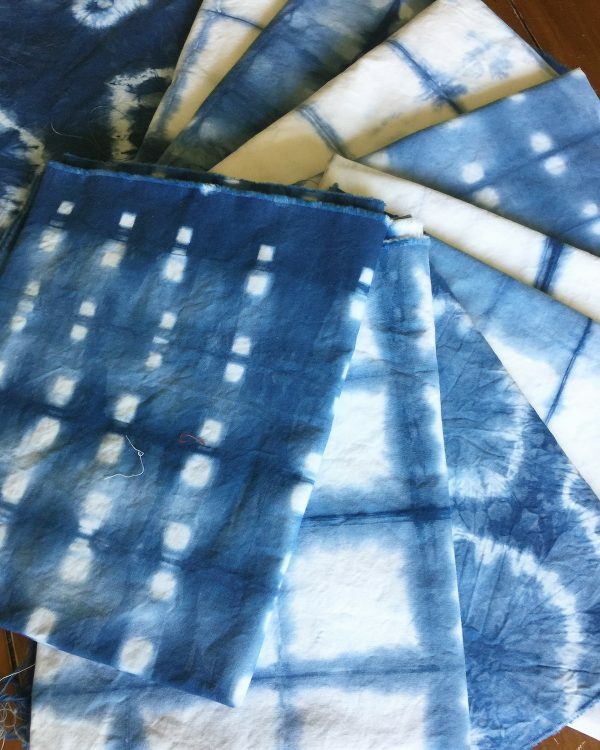 The shibori dye method is everywhere right now, and I love the modern look it adds to basic home decor items. 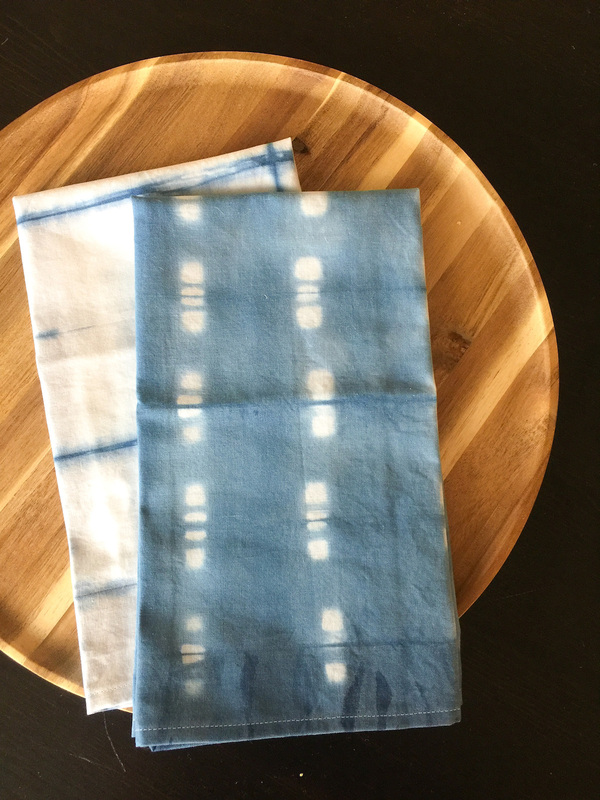 I love that these little towels work all year round (not just for the holidays). These would also make great hostess, birthday, house warming gifts, and etc. Or you can even keep them for yourself! I have been wanting to try the shibori indigo dye method for months but kept putting it off because it seemed complicated. It’s not! Prepping the fabric is simple and pretty quick, the dye kit comes with pretty much everything you need, and its only about a 1-2 hour process tops (depending on how much fabric you are dying). It’s also hard to get bad results. This was my first time trying this, and every single piece turned out so good. 1. 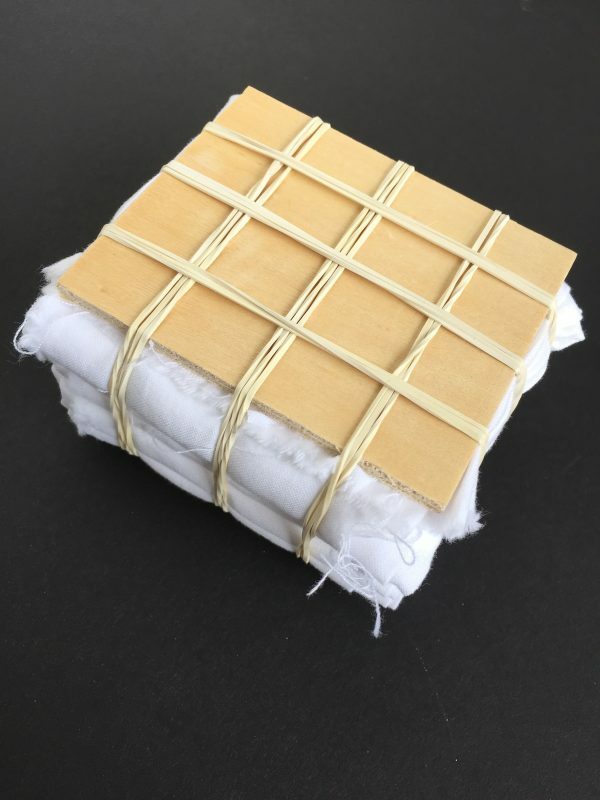 The Jacquard Dye Kit comes with two wooden square shaped resists. 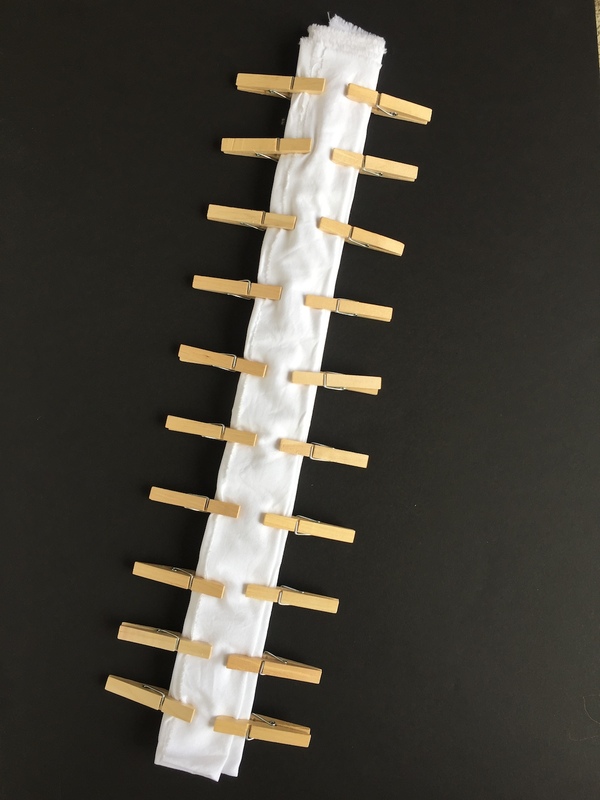 For this technique, the fabric is accordion folded with square resists on each end, bound with rubber bands. I used one yard of fabric. 2. 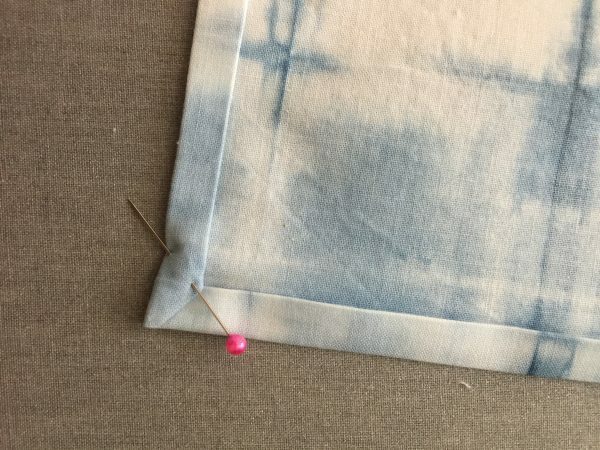 This next technique uses clothespins and one yard of fabric. 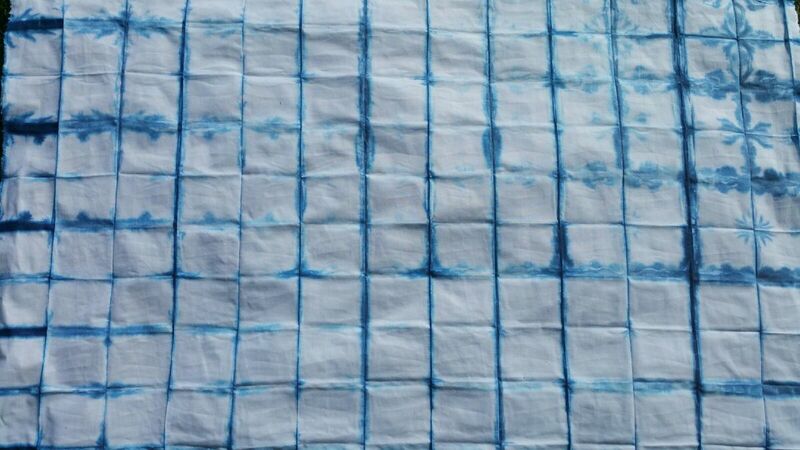 The fabric is folded accordion style, and then in half longways one time. 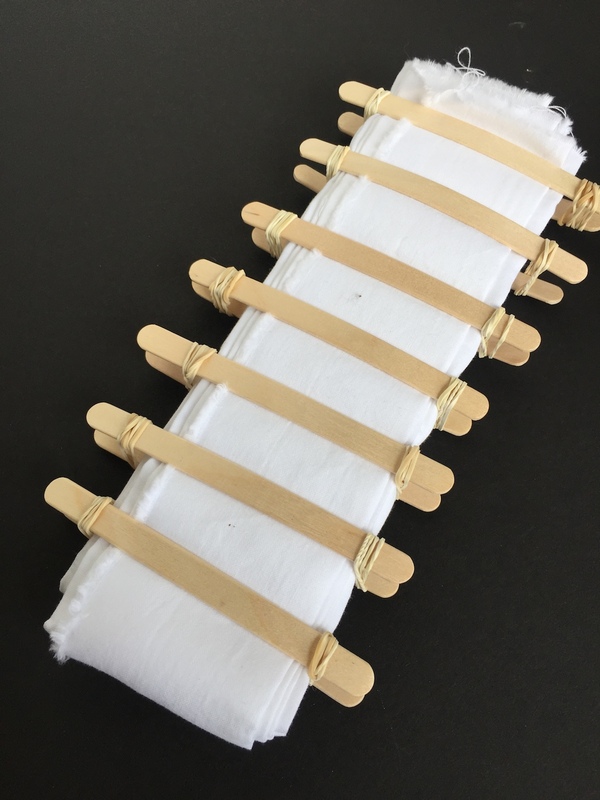 Evenly spread the clothespins along both sides of the fabric to finish. 3. 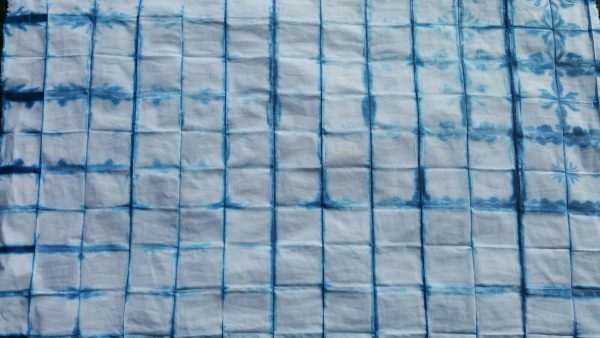 The twine method is very similar to the square resist method, only with slightly more bleeding along the lines. 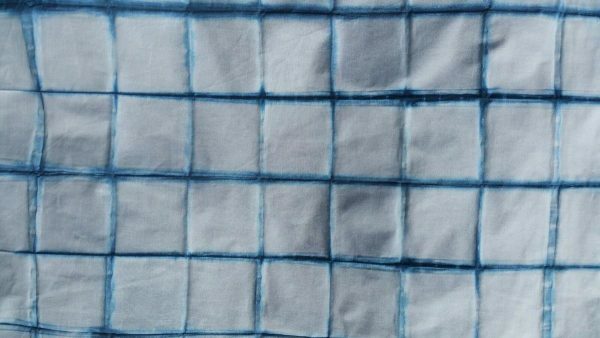 I folded one yard of fabric accordion style, and then accordion style again into a square shape. 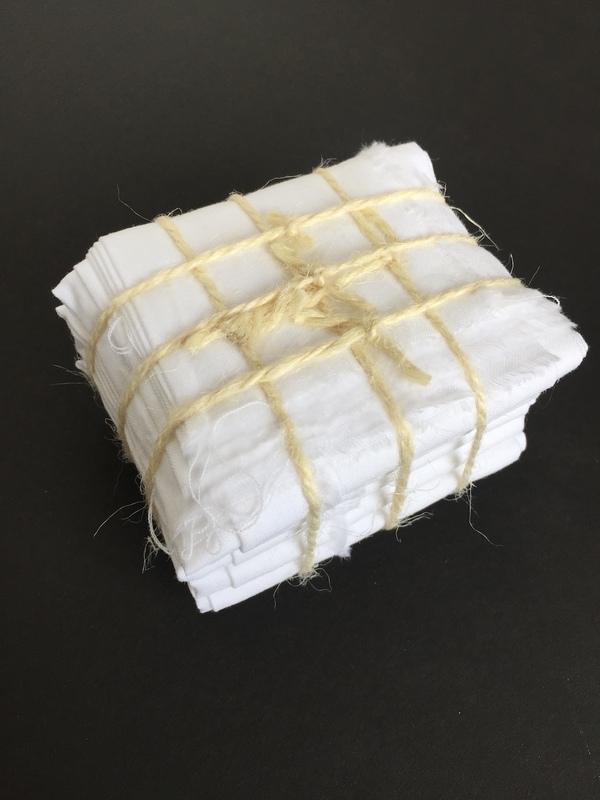 Tightly tie twine around each side. 4. 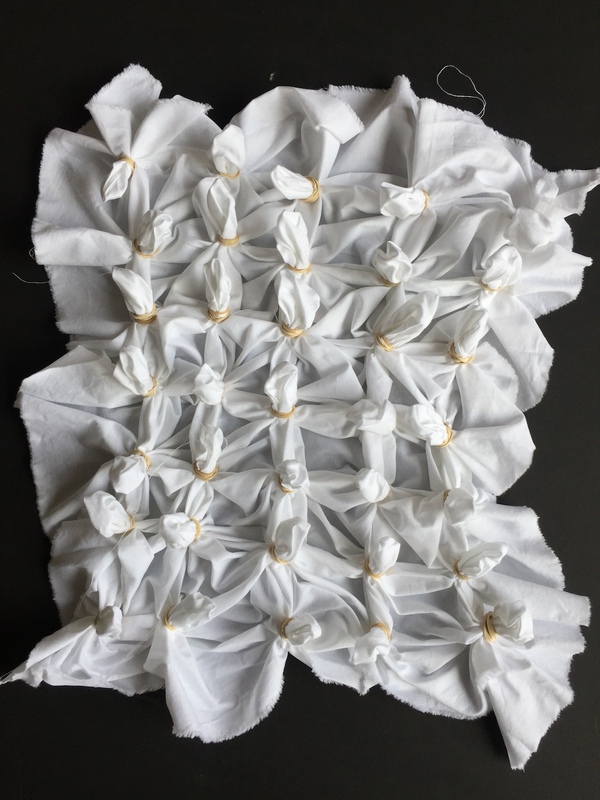 This method uses one yard of fabric, accordion folded, and then folded in half once long ways. I added popsicle sticks to both the bottom and top of the rectangle, and tied the ends of the sticks together with a rubber band. I would recommend using a half yard if you want to try this method. 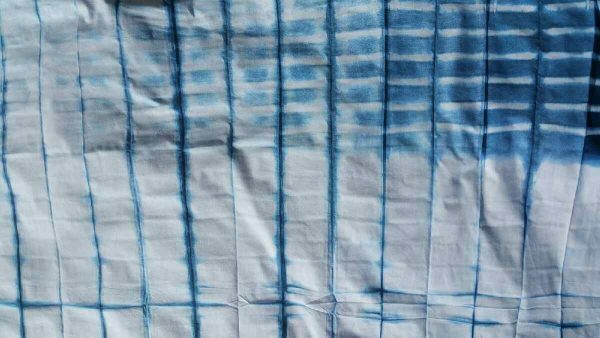 The dye didn’t quite make it through the whole yard, but the effect is really fun! 5. 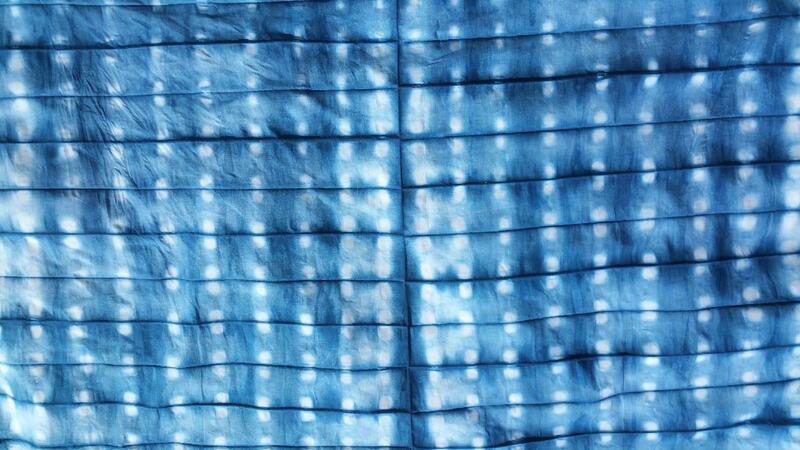 With this next method, I used one yard of fabric. I simply layed the fabric flat, grabbed a little pinch of fabric and tied it off with a rubber band. You can keep an organized pattern or tie off little pinches of fabric randomly for a really cool effect. Now we’re ready to dye! 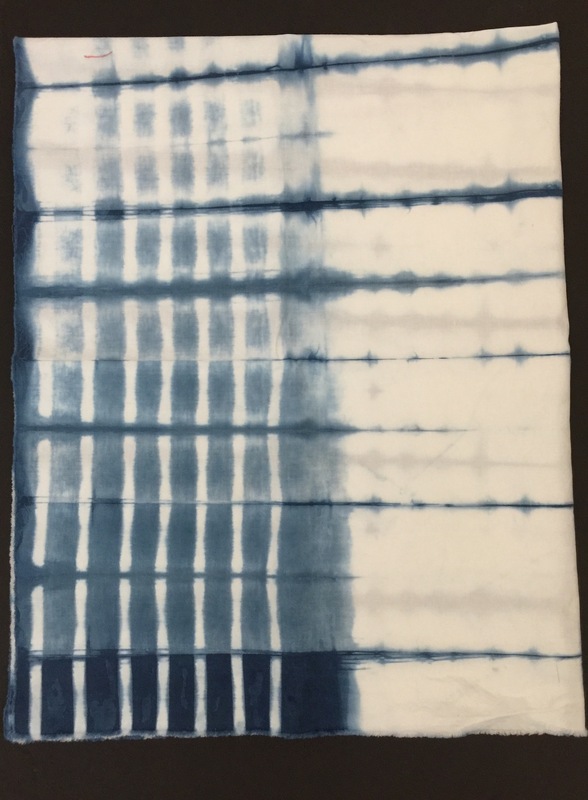 Simply follow the directions provided in the dye kit. 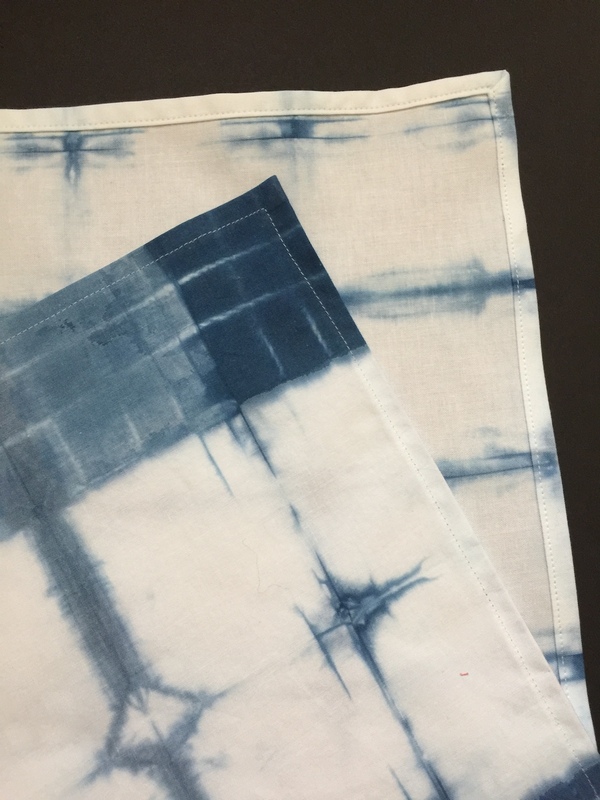 It is so much fun unwrapping the dyed fabric and seeing the finished design. I can’t wait to try it again soon. I don’t think I can pick a favorite method, they are all so unique! 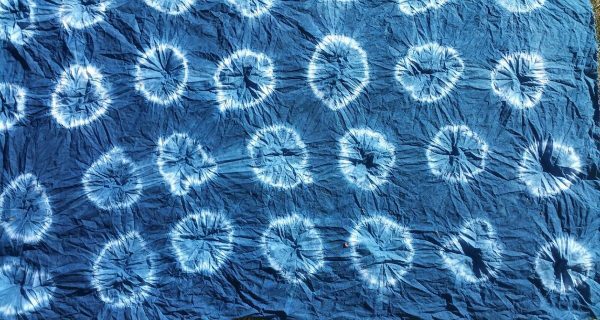 Once your fabric has dried, I would recommend washing your fabric before sewing. I washed the lighter ones together in one batch, and the darker ones in a separate batch. 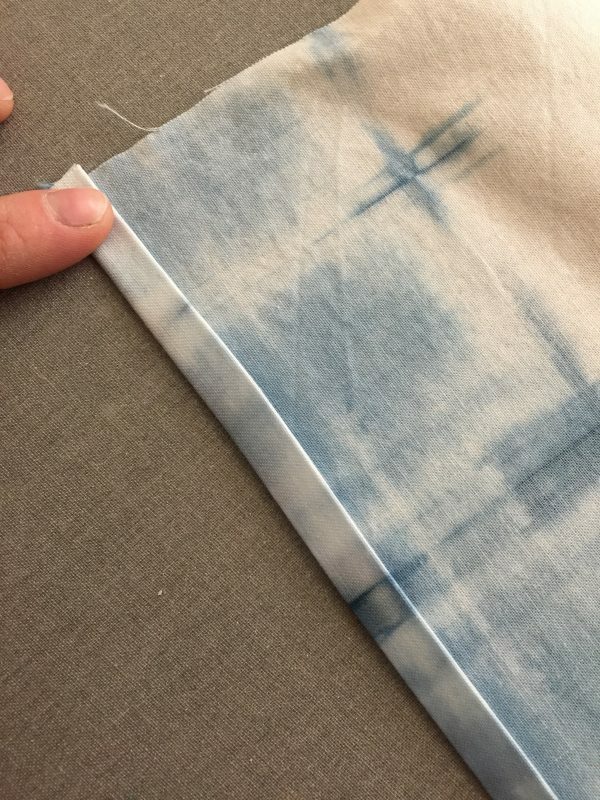 You don’t need to worry about the dye bleeding into your design. After washing, you can use your dryer to dry the fabric. 1. 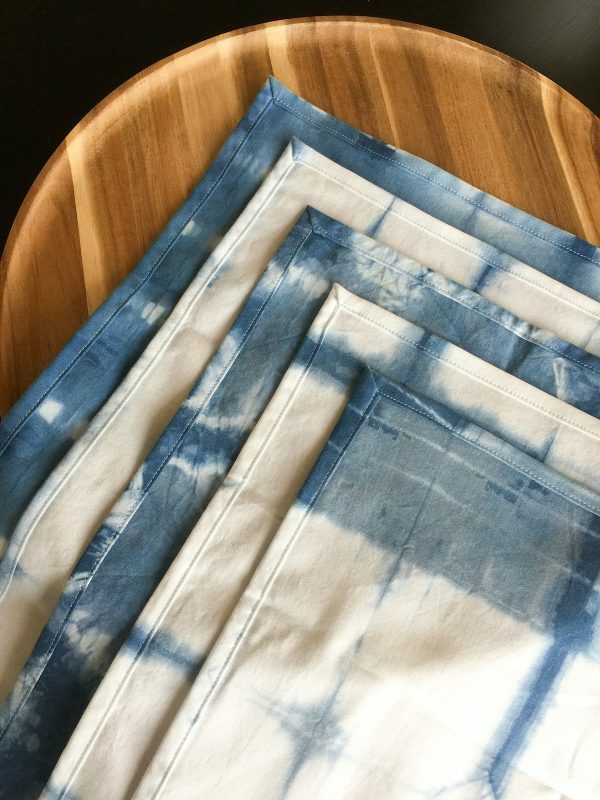 Fold each yard of fabric into fourths. 2. 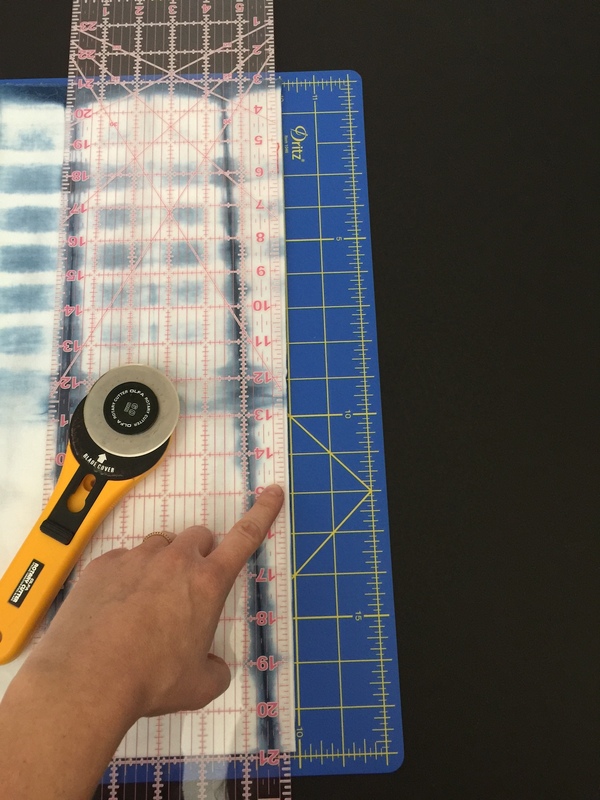 Using a rotary cutter and cutting mat, just barely trim off the folded edges of your quartered yard of fabric. 3. Now you should have 4 separate quarters of fabric. These will be your tea towels. 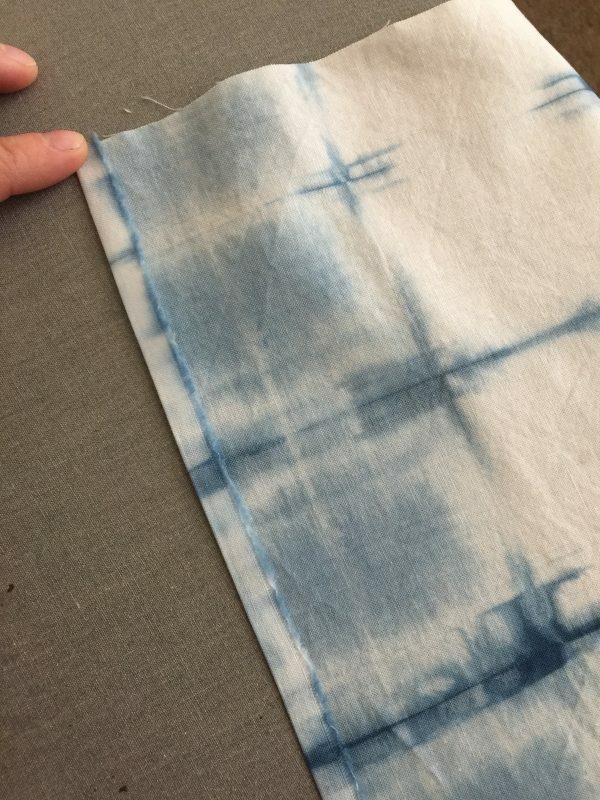 Take one towel over to the iron, and fold one long side in at 1/4″, iron. 5. 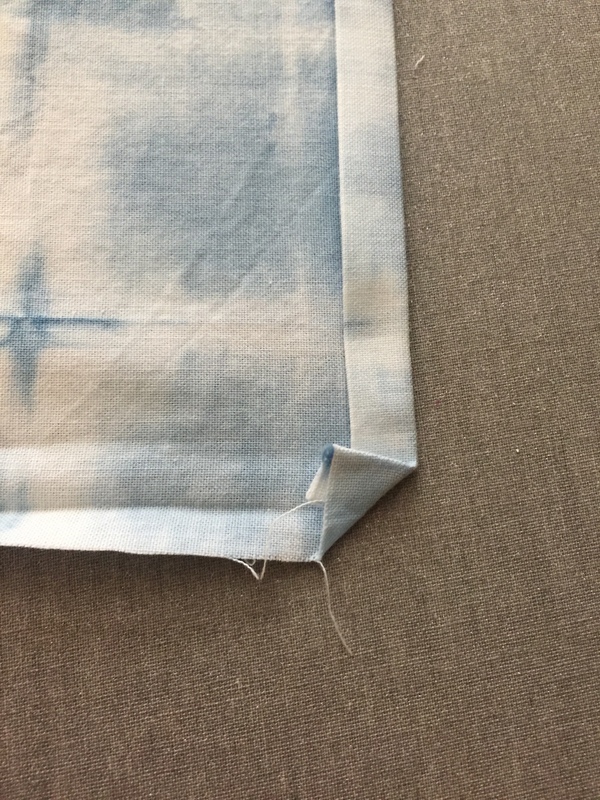 Fold the side in one more time at 1/4″ once again, iron. 6. 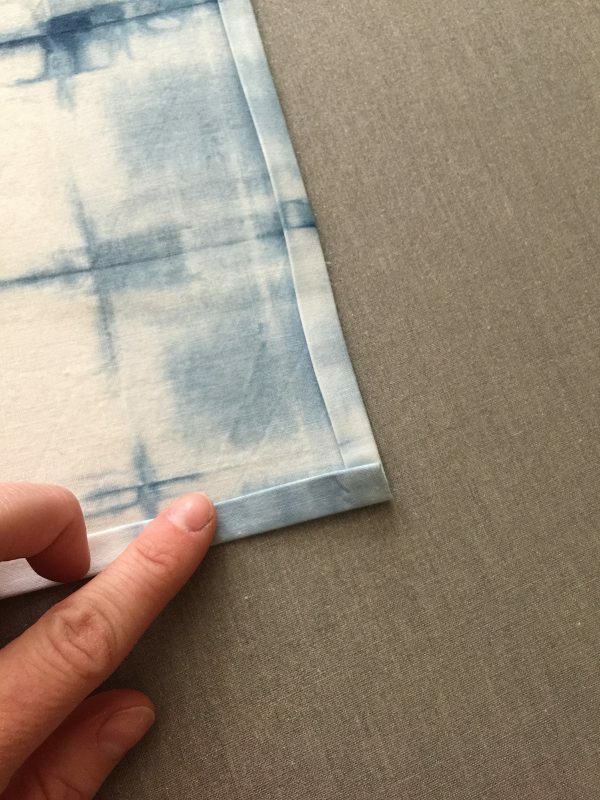 Turn the towel to the next side and do the same, folding the raw edge in at 1/4″ twice. 7. 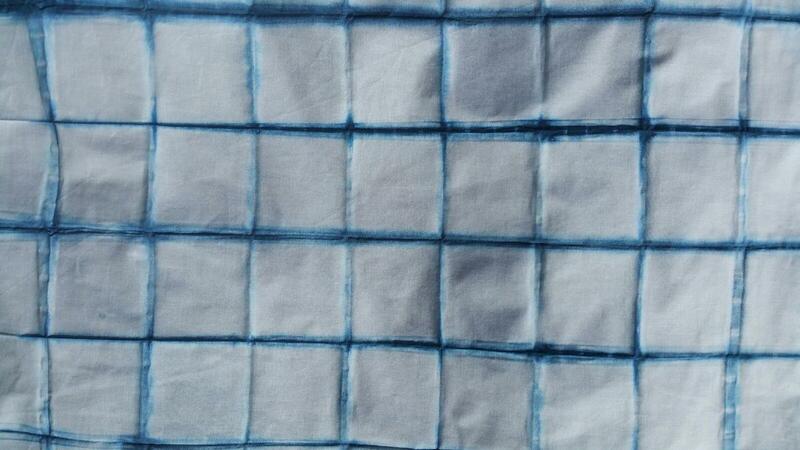 Open up the second side you just ironed and fold the corner up the second fold line. 8. Now, we need to refold the second edge up once at 1/4″. 9. 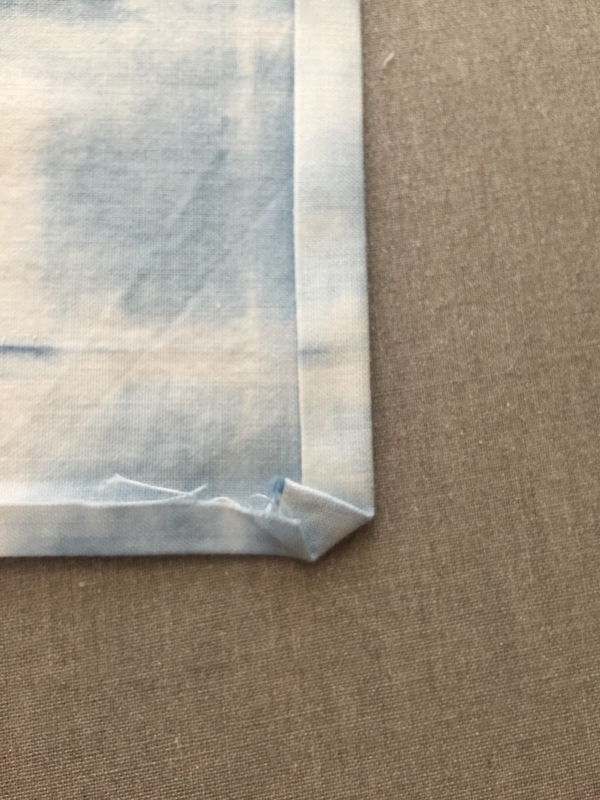 Fold the second edge up one more time at 1/4″ and pin in place. This gives us a really pretty mitered corner finish. 9. Continue folding the remaining edge and corners of the towel. Pin folds in place. 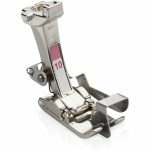 Get your sewing machine ready using your edgestitch foot #10, and moving your needle position over to the left 2-3 times. 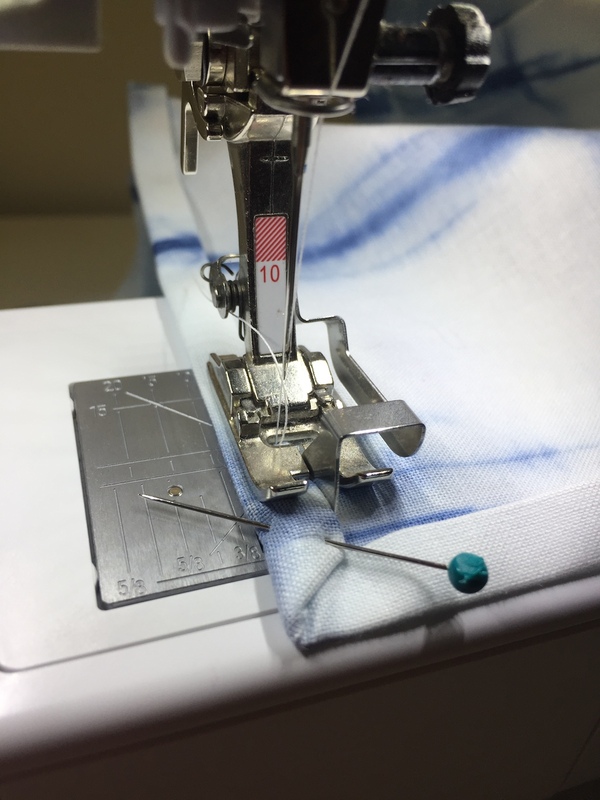 Sew around the inside folded edge of the entire towel to finish. Make sure to pivot at the corners. All done! 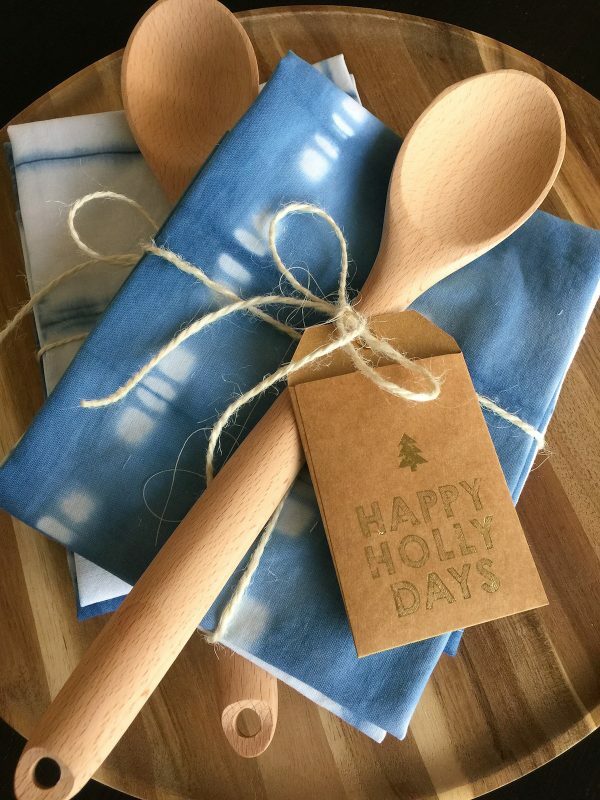 These are super simple to make, and I’m so excited with the results, I can’t wait to pass them out to all my friends and family for Christmas this year. (And maybe save a few for myself!). I went to Ikea and bought a few wooden spoons for a little under $2 a piece to add to my towel gift sets. I tied the little bundle up with some twine and a little gift tag. (See first image in this post). Thanks for reading along! I hope you enjoyed this tutorial, and that it left you feeling inspired to make some handmade holiday gifts for your loved ones! 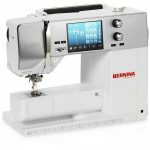 Happy holidays sewing friends!